She was born March 22, 1928, at Soldier, the daughter of Henry “Hank” William Jenkins and Violet Marie Houpt Jenkins. Rosie graduated from Holton High School in 1946. She married Paul Robert Moser on Aug. 16, 1951, in Highland. Rosie was very active in her community, serving for more than 50 years as the Jackson County Red Cross Swim Program Chair and re­ceived a special honorary recogni­tion for serving the American Red Cross; Holton Pilot Club; and served as the Jackson County Elec­tion Board Chair. She volunteered for many community activities. Her passion was cooking and serving her family. She worked for Dr. Forrest H. Kendall, DO, for many years and later for Ogilvie’s Rexall Drug Store. 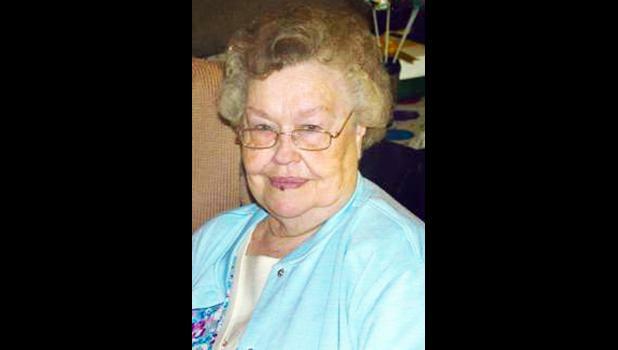 She was a life-long member of the Holton First United Meth­odist Church and served as Acolyte Mother for years. Survivors include her husband, Paul, of the home; her son, Gregg, of Holton; her daughter, Terri Gallup (Andy) of Owasso, Okla.; her grandson, Dustin of Oklahoma City, Okla.; her sisters, Rita Mae Jenkins and Wanda Sue Jenkins, both of Holton; her niece, Barbara Shea of Holton; and her nephew Wayde Shea (Lisa) of Ottawa, and their children, Caitlin, Connor, Claire and Callie, all of Topeka. She was preceded in death by a brother, William “Bill” Henry Jen­kins; and a sister, Jo Alice Jenkins Shea, both formerly of Holton. Graveside services will be held at 11 a.m. Friday, March 13 at the Holton Cemetery. Family will greet friends from 7 p.m. to 8 p.m. Thursday at Mercer Funeral Home in Holton.